Best Places to Watch a Game! Take a big whiff! Now exhale…can you smell it? Fall is in the air in Western New York and that means our beloved sports teams are back in action! You may know of the pain and suffering fans have continuously become accustomed to while cheering on Buffalo’s sports franchises. But against any and all scrutiny, we still support our teams no matter what! So, we thought we’d list some of the best places to watch in a game right here at Walden Galleria! 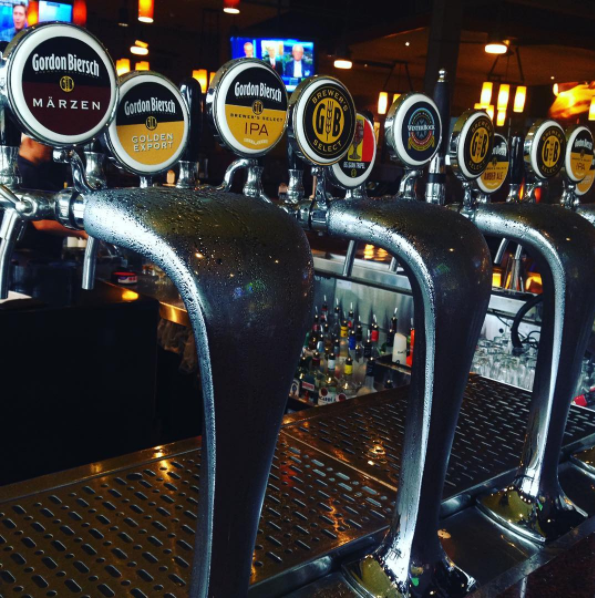 Step into the ultimate hangout for house-brewed beer, pub grub and game day specials! During every NFL game day (Thursday, Sunday & Monday) at Gordon Biersch, you’ll get an order of boneless wings and Southwest nachos for just $7 each, including $3 beers. You can also fill up your beer growler every Sunday during the NFL football season for just $8! 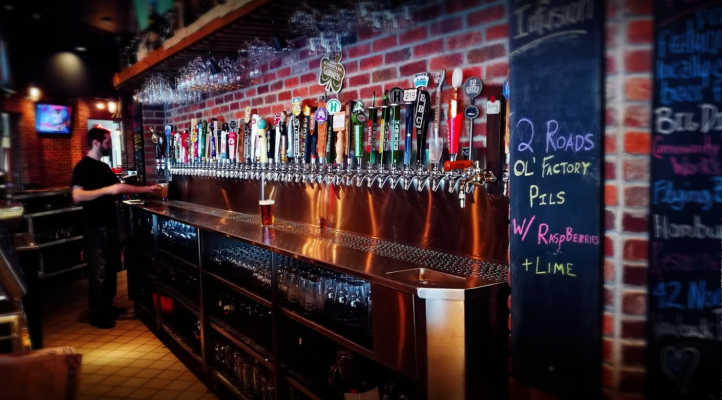 GB features a starting line-up of 10+ home-brewed beers on tap plus a sizeable menu guaranteed to satisfy while you watch our hometown teams! While the Million Dollar Midway arcade is a gamer’s paradise, sports fans are more than welcome! 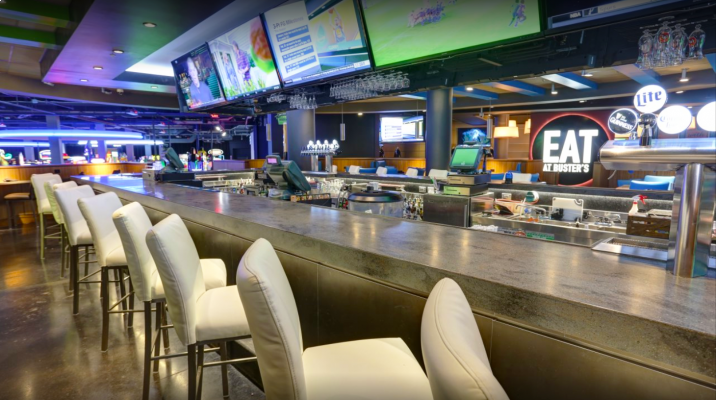 Sit down in front of one of D&B’s 50″+ HDTVs with epic stadium surround sound that will make you feel like you’re down on the sidelines or the ice! Special discounts on drinks and appetizers are always running during happy hour when the hometown teams are on. Every NFL game day (Thursday, Sunday & Monday) get 22oz Bud Light drafts for $3.50 and $4 aluminum bottles of Budweiser, Bud Light, & Michelob Ultra. Happy Hour is Monday – Friday from 4:30pm – 7:00pm & Sunday – Thursday from 10:00pm – Midnight, get 1/2 price cocktails, $1 OFF 22oz draft beers, $1 OFF wine glasses, and $3 off wine bottles. If this already doesn’t sound like your Football Headquarters, their $5 appetizer specials every game day is a great play call and includes their famous Huddle O’ Nachos, Cheesy Spinach Dip & Stringy Mozzarella Sticks. Also, try one of Dave & Buster’s mouth-watering, chef-crafted creations. From wings to steaks, to salads and sandwiches, you’ll want to bring an aggressive appetite to watch sports! At Jack’s you’ll find nothing but great times and delicious food! 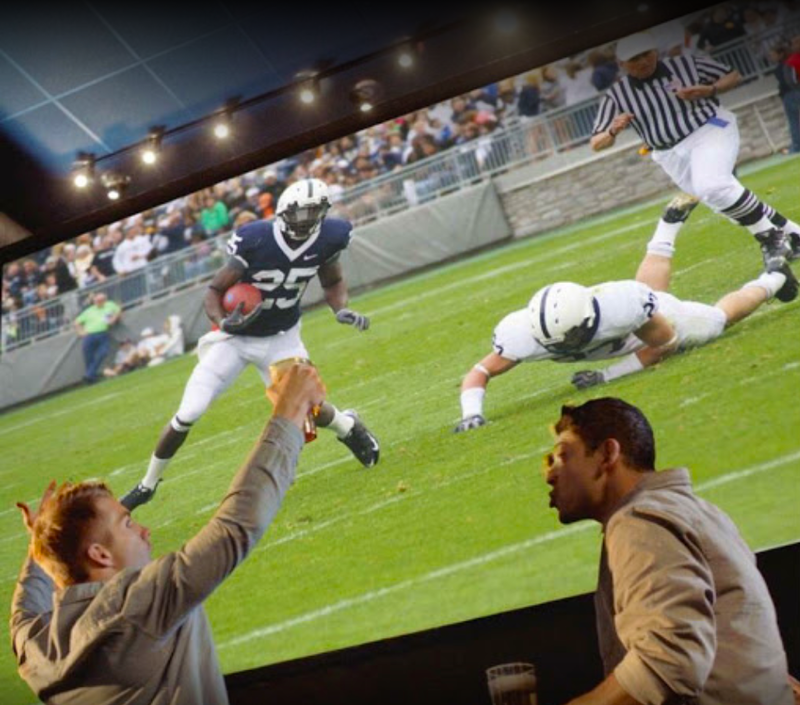 They have plenty of TVs on deck in all shapes and sizes plus irresistible game day specials. Check ’em out: $3.50 Blue Light Pints, $6.00 5-piece wings and a half-price Easy Sell Pizzas (Pepperoni and Mushroom) every NFL Thursday, Saturday & Sunday. Enjoy $3.50 Blue Light Pints every Sabres game too! 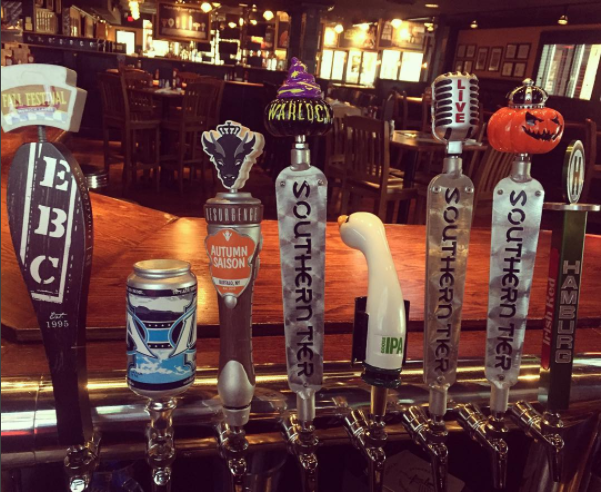 Oh and did we mention their 30+ taps of local and national beers that are sure to quench you thirst for overtime. 50+ craft beers on tap, 500+ in the cooler, and a menu of mouthwatering Tavern Far crafted to go perfectly with beer. Need we say more? The insanely knowledgeable and friendly staff at World of Beer is there to help you through every last pint, pour and pairing. There’s no shortage of specials for game days either! Exclusively during Sabres games, get a Labatt Blue or Blue Light beer bucket (5 beers) for $15. On Thursday, order a 22oz bomber beer and get a giant German pretzel FREE! (Trust us with this one, they’re bigger than your head!) On Sundays, take advantage of their Beerunch special that includes $3 Beermosas, plus exclusive dishes like Chicken & Waffles and the Hangover skillet.